Yet, some in power have made it their mission to only pander to special interests and to advance the inhumane and cruel industry of immigrant detention. Forcing New Mexicans to take jobs that profit off of the suffering of immigrant & refugee families, and divesting from our children’s education. But we know New Mexicans deserve better jobs and the best possible education that will allow our communities to thrive and which stops the racist agenda to incarcerate and destroy communities of color across the country. This is our time to be a driving force of change in NM by declaring we want investment in #EducationNotDeportation! Because our state must divest from the mass detention industry and invest in our children’s education to build stronger communities today. 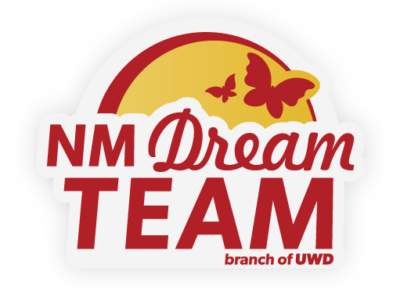 ‘Our Dream Campus!’ campaign is LIVE and you can be a part of it! Every student has the right to freedom and opportunity in the pursuit of their education. Sign our pledge today, stating you as an educator will commit to fight alongside of immigrant youth for their freedom, opportunity and inclusion in the classroom and beyond. Because educational institutions should serve as liberating spaces for students to grow and thrive in their personal and professional lives.